The Robotech animated series is legendary - And now you can immerse yourself in the classic comics which recreated the legends. A new series of books collecting classic Robotech material, most of which are out of print of have never been previously published! 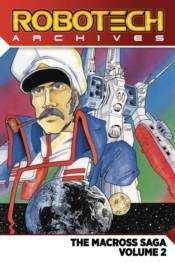 Featuring classic Robotech fan-favourite creators such as Carl Macek, Jack Herman, Mike Leeke and Neil Vokes!